Caption slip reads: "Photographer: Olmo. Date: 1960-12-12. Reporter: Gene T. Assignment: Mass Adoptions. 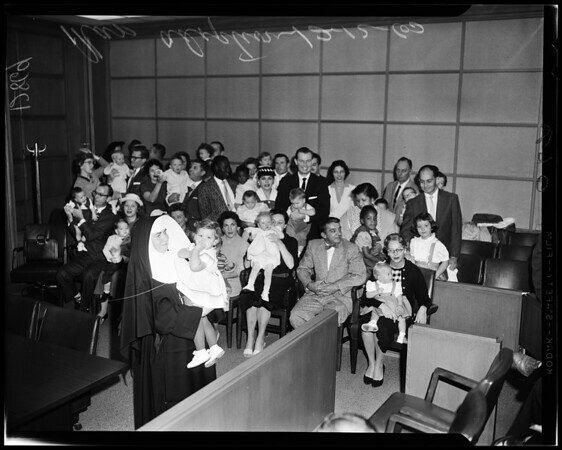 68-69-70: 14 couples in Superior Court for approval of final adoption papers for children placed by Holy Family Adoption Service. In foreground, holding one of the children is Sister Stanislaus, Administrative Director of Service".